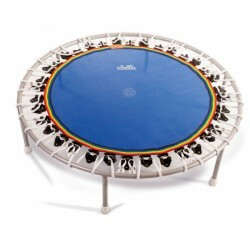 This Plus version Heymans Trimilin rebounder features folding legs. It is just as stable as the fixed leg version but provides the advantage that it is much easier to stow away and transport. The Heymans Mini Swing Vario has a diameter of 100 cm. As a result, the suspension is a bit firmer than that of other Heymans rebounders (4 of 6). Its firm suspension allows to use this Heymans Trimilin mini trampoline for a pleasant running and fitness training as the spring deflection is not as long. A bouncing run on this Heymans Trimilin is particularly effective and can use up to 25% more energy than normal jogging. 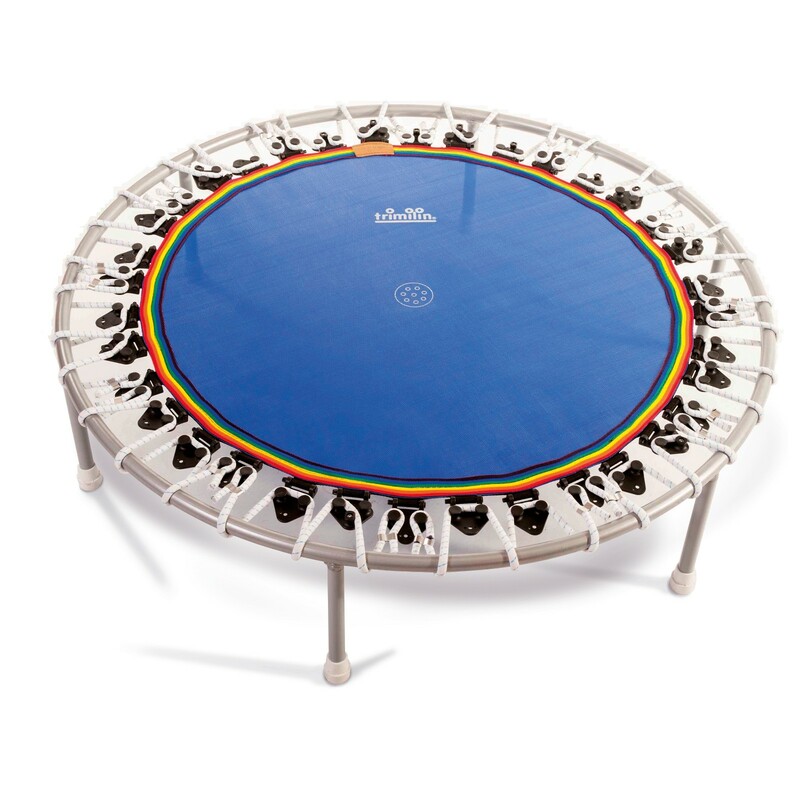 This Plus version of this Heymans Trimilin rebounder features folding legs. It is just as stable as the fixed leg version but provides the advantage that it is much easier to stow away and transport. 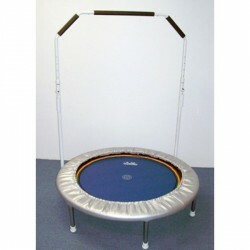 Really good, it arrived all assembled to use straight away, once bounce it has a soft rebound which is good for back. It's very well made, the bungies are better than the spring version I used to have. Heymans Trimilin Mini Swing Vario Plus add to comparison list.